The settings pages let you adjust and change project settings. Tags help you to categorize and filter your pages. 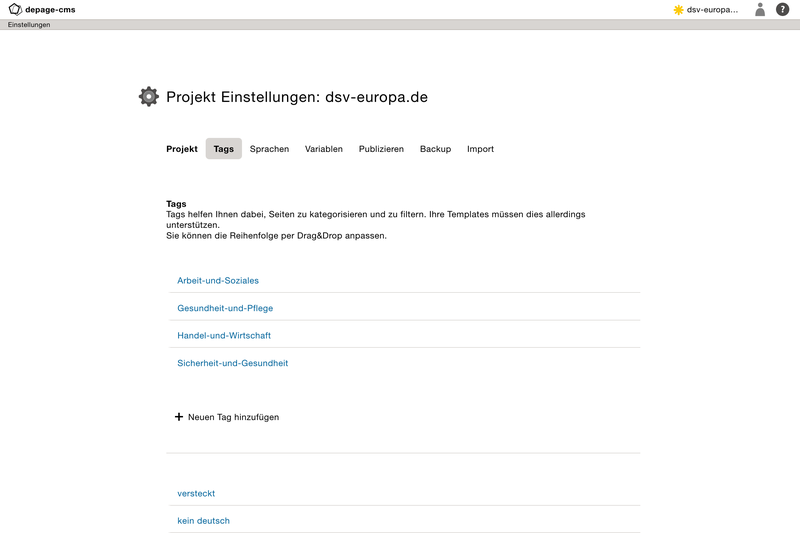 But the templates of the project have to support this functionality. You may reorder tags per drag and drop. Navigation properties help to structure a project or to change specific settings in a template. Usually this is the responsibility of the administrators, because the functionality largely depends on the templates. 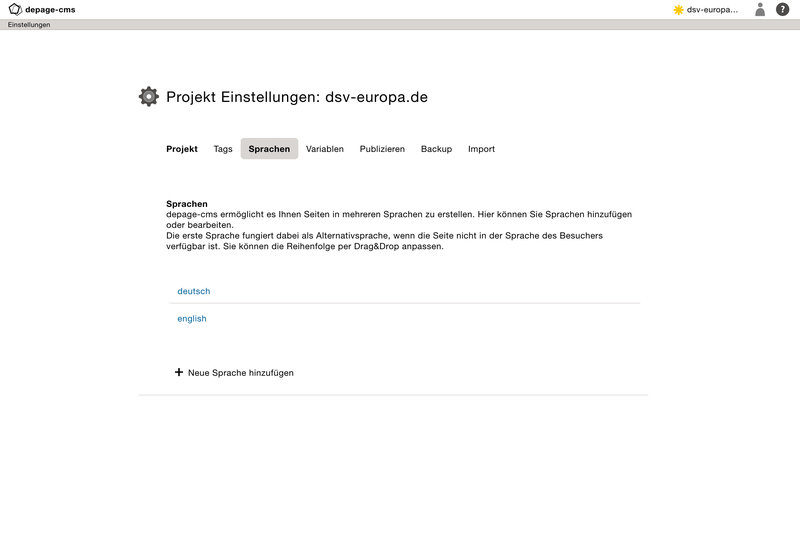 depage-cms enables you to generate a page in multiple languages. Different language version always work in tandem, meaning depage-cms always generates a page in all languages in the same page structure. The first languages doubles as fallback language if the users browser does not support one of the current translations.